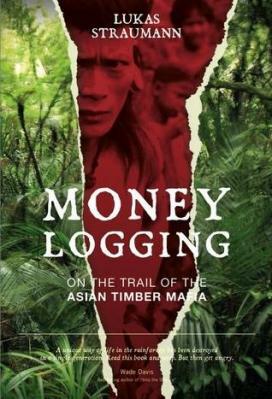 The BMF Director, Lukas Straumann, is the author of “Money Logging – On The Trail Of The Asian Timber Mafia”, which has also been barred from the conference. The book was launched in Kuching and KL last week and is available on Amazon. According to BMF, the ITTO secretariat informed them on Sunday that the instruction to ban the NGO had come “from the highest level of government in Kuala Lumpur”. In the history of the organisation no NGO has ever been withheld observer status in such a way. Environmental NGOs gathered to protest the move and also the further Malaysian attempt to prevent the Japanese launch of Money Logging at the ITTO meeting. 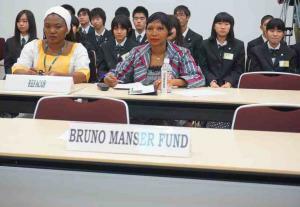 After all, BMF has been a reputable European observer at the ITTO for the past two decades. “This is of real concern. The ITTO is UN affiliated and it is funded by public money to stop the destruction of the world’s tropical timber reserves and yet increasingly it is falling into the hands of the wealthy interests that are behind that destruction. Two years ago Taib himself was given a platform at this conference and now we have an important and carefully researched book, which Taib is acting to block from the conference and its author is being prevented from gaining a voice. The ITTO should cease to be an affiliated UN body, funded by the public, as it is no longer genuinely addressing the causes of deforestation” said one Japanese ENGO campaigner outside the conference. “It’s like putting the fox in charge of the chicken coup” explained one disgusted campaigner outside the conference in Yokohama. 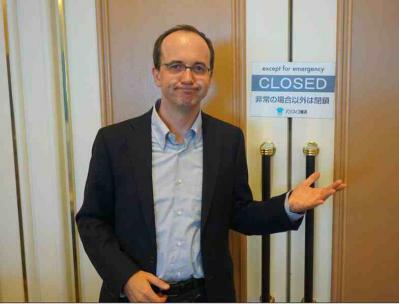 Author Lukas Straumann, excluded from the ITTO conference on the orders of Malaysia! Meanwhile, Taib is using his top London legal firm Mishcon de Reya to attempt to threaten and bully the publishers and distributors of the book into withdrawing the English version on the threat of libel action. This tactic has worked on several recent occasions against large publishing and broadcasting concerns, whose journalists have attempted to report on the situation in Sarawak. For example, at least three major news stories about Taib’s son-in-law Sean Murray’s timber money connections have been pulled in Canada over the past year following aggressive attacks from lawyers. In such cases the publishers have conceded to the pressure, in order to avoid expensive legal actions, whether or not the evidence backs their story, as numerous unhappy journalists have indicated. However, this latest attempt to pull the Money Logging book represents a new, high risk strategy for Taib. Because, if the Swiss publishers Bergli and the distributor Amazon refuse to yeild, then the Sarawak Governor will be forced to take court action or lose face for not daring to submit to the scrutiny of a European judge or jury. Previously, in 2011 Mishcon issued the same threats against Sarawak Report on behalf of Taib and his family, but then failed to take court action when those threats were ignored. Significantly, Mishcon have not approached BMF directly or the author of the book, having apparently calculated that Straumann is sure of his facts and would welcome just such a court case. The law firm, which is well known in NGO circles for its raft of wealthy and controversial clients, also dismisses a deceased whistleblower, the Taib family’s American real estate manager Ross Boyert, as having been diagnosed as a “delusional and paranoid schizophrenic”, a clear libel had he been alive. 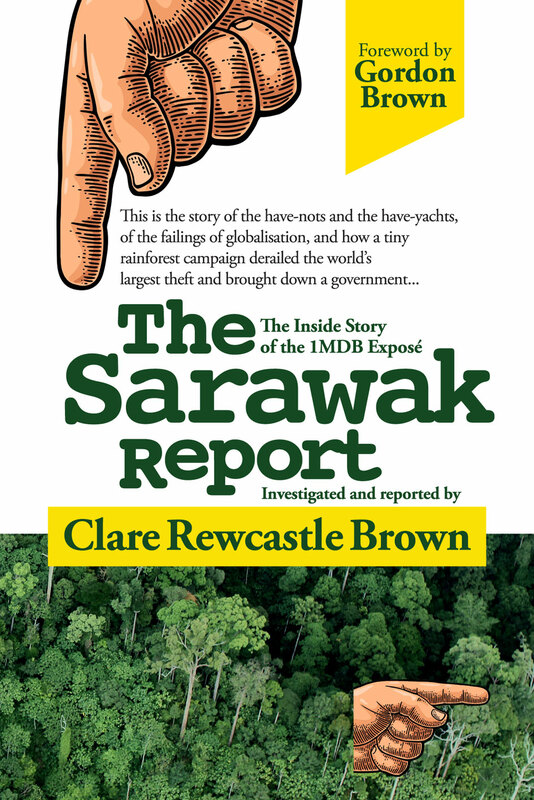 And Mishcon further claims that Sarawak Report’s editor Clare Rewcastle Brown is a “serial defamer”, despite having failed to take legal action over any of her articles. However, in their enthusiasm to defend their client, Abdul Taib Mahmud, these London lawyers have also managed to place him in an uncomfortably exposed position. In the process of threatening the publishers and Amazon with extensive potential damages, they describe Taib as extremely wealthy, making plain that the damages retrievable, should the book be discovered to be libellous, would be very high indeed. “Given the wealth of our client and the extreme seriousness of the allegations the losses will be substantial” Mishcon de Reya warns Amazon. 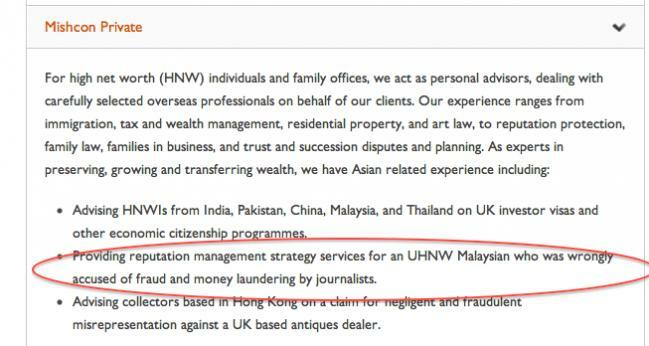 Indeed, Mishcon’s website makes a smug reference to the fact that over 70% of its clientele comprises so-called “Ultra High Net Worth Clients” from Asia, including “providing a reputation management strategy for an UHNW Malaysian who was wrongly accused of fraud and money laundering by journalists”. Mishcon de Reya further sticks to its description of Taib as having come from a ‘wealthy family”, conveniently ignoring the documented facts that Taib came from a very poor family and won a Columbo scholarship to Australia on that basis. By making this error Mishcon have frankly ‘landed their client in it’, according to the well known term. Taib entered public office shortly after leaving university, which means that his modest salary has been documented over the past half century, leaving a significant challenge for the Governor to explain how he is now in a position to be described legitimately as extremely wealthy by his lawyers. Yet, as the world well knows, Taib is the governor of Sarawak and before that for over 30 years he was its Chief Minister. Given the constitution quite rightly precludes the holders of both these offices from engaging in business, Taib ought to have no business reputation to be damaged! Today Lukas Straumann was handing copies of Money Logging to delegates arriving at the conference and confirmed that he would be happy to stand by the research in his book. He challenged the furious Governor of Sarawak to take him to a European court. However, he stated he holds out little hope that Taib will dare to do so, saying the Governor prefers instead to use expensive legal action to attempt to bully third parties. However, Bergli books have issued a statement that they have no interest in retracting the book and today Straumann was doing brisk business to buyers in Japan. The ball is in Taib’s court and his credibility is now very publicly at stake.